We now keep supplies of locally produced charcoal for sale on the farm. The charcoal is of the finest quality and is made from from traditionally coppiced hornbeam and chestnut. I’ve used it in my barbecue and it is fantastic stuff. 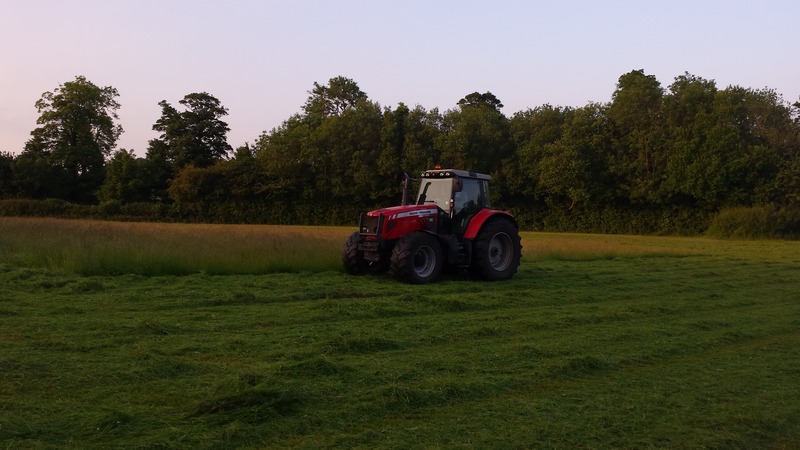 The grass on the fields has been cut ready for hay making so, weather permitting, we will be turning and baling the hay over the next few days. Some of the new flock enjoying the open air on Hill Field. Photo courtesy of Gary, Jack Raven Bushcraft. 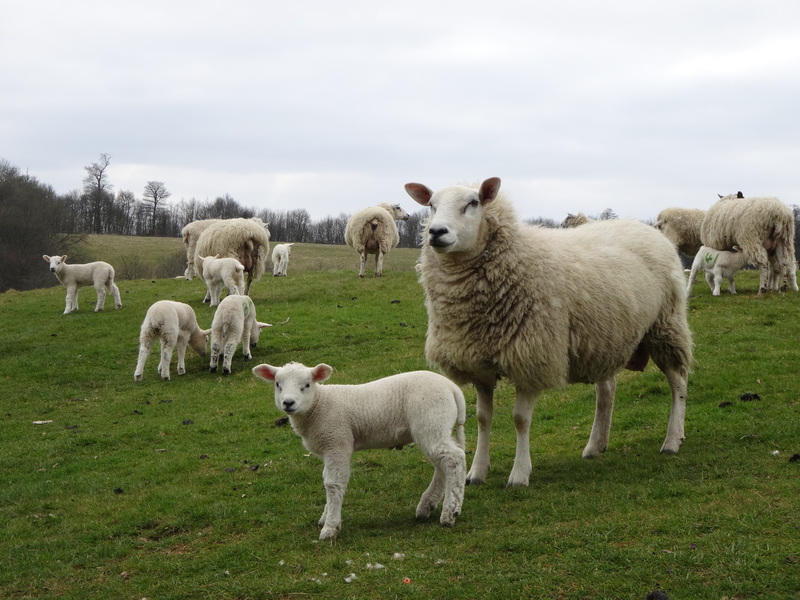 This last week has seen the arrival of the first lambs. 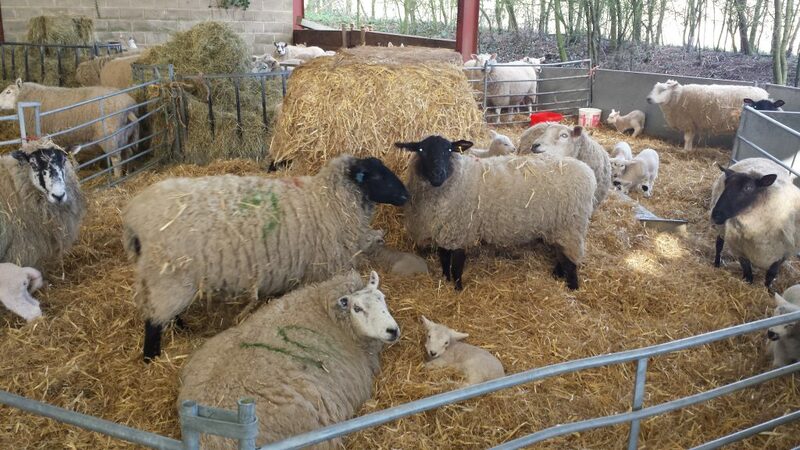 This year we have adopted the big barn adjacent to the campsite as our lambing shed and when the weather improves the lambs will be moving out to the paddock. The grass in the middle of the meadows used for camping is growing well with the recent combination of rain and sunshine. The grass is full of wild flowers and will make super hay in a few weeks time. I would suggest bringing wellies for the morning trip to the loos as the long grass collects a lot of dew! © 2019 dunnstreetfarm.co.uk. All rights reserved.